Apple-picking and Dr. Matarazzo’s office: Ah, the sweet similarities! Joanne and I visited our youngest daughter, Meg, in Burlington, Vermont last weekend. The Sherburne Orchard Farm is one of our favorite places to visit. If you’ve never been — go! About an hour and a half drive from Burlington, every mile to the orchard reminds you of how quiet and simple life can be. Even if fall foliage isn’t at its peak, the views are so relaxing. The adventure begins as soon as you park your car. You’ll ride a wagon pulled by a huge tractor that is driven by “quite a unique” fellow. 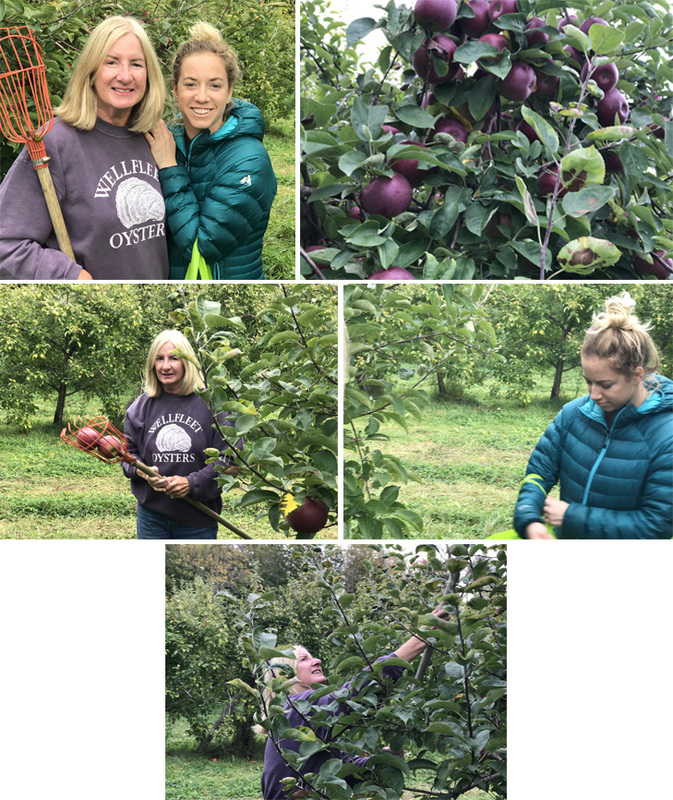 Once you’re at the orchard, you’ll get information on all sorts of different apples, where specific trees are found, and how to use your apple picker to reach the difficult apples. After you’ve picked to your heart’s content, get back up on the tractor and ride to the store. You can buy homemade cider and homegrown pumpkins, and see how apples are pressed. Even better, enjoy homemade apple pie! I promise you, it will be a day you’ll never forget. So how is a trip to Sherburne Orchard Farm like visiting our office? Simply-stated, you’ll have wonderful memories. Lots of laughs. You’ll tell all your friends. And you can’t wait to go back!